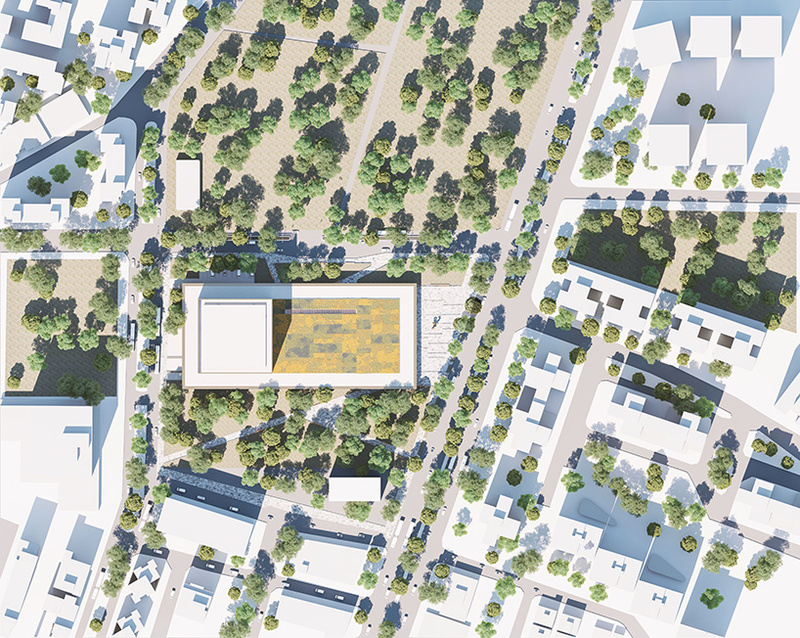 mecanoo, founded in delft, the netherlands in 1984, is made up of a highly multidisciplinary staff of creative professionals. the team includes architects, engineers, interior designers, urban planners, landscape architects, and architectural technicians. the company is led by its original founding architect and creative director, francine houben. 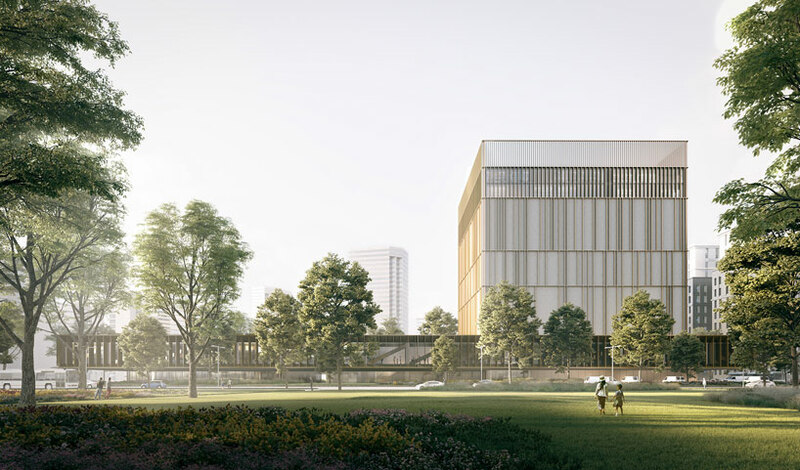 mecanoo has unveiled its proposed design for the ‘taiwan national archive’ — a design which placed runner-up as part of an international competition. 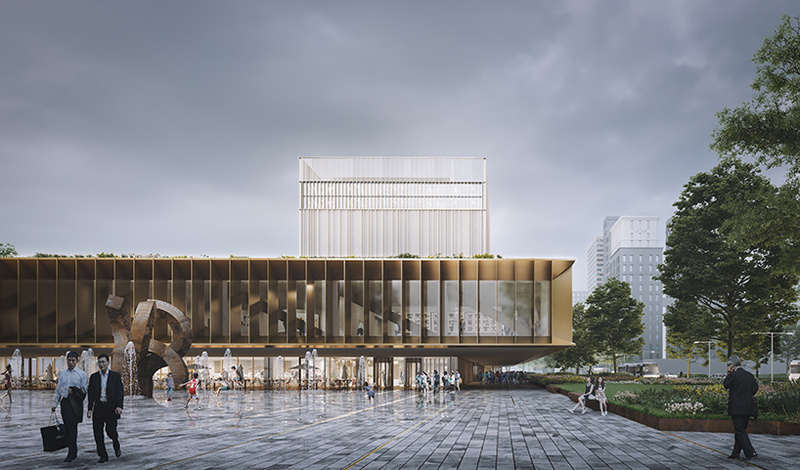 planned for new taipei city, the scheme comprises two volumes: the first is a large horizontal canopy that protects the ground floor and establishes a relationship with exterior space, while the other, a perfect cube, sits above. 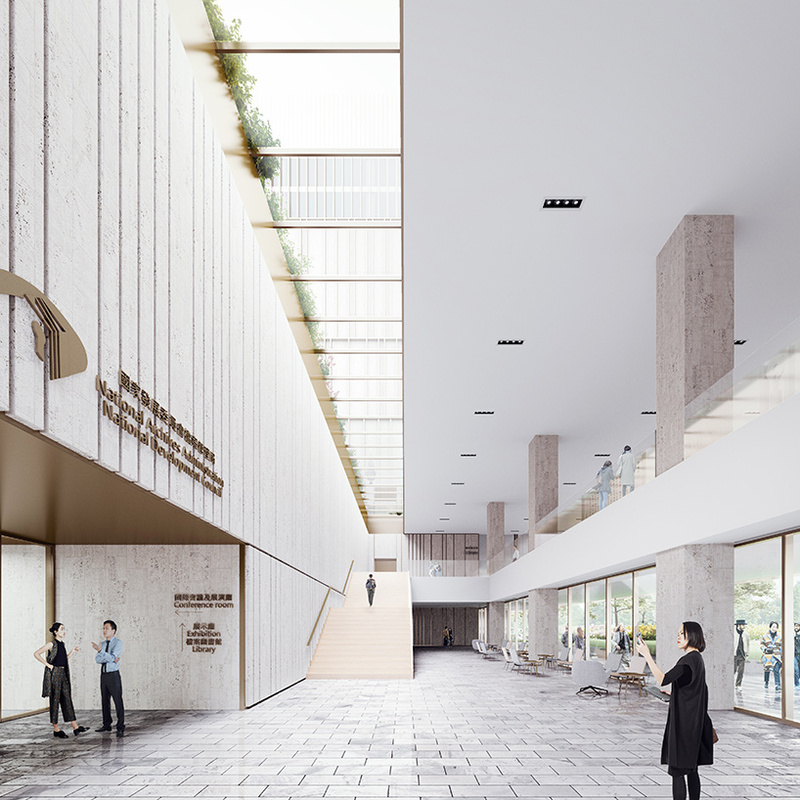 the proposal, which mecanoo developed alongside taiwan-based firm MAYU, also features clearly defined public and private areas. 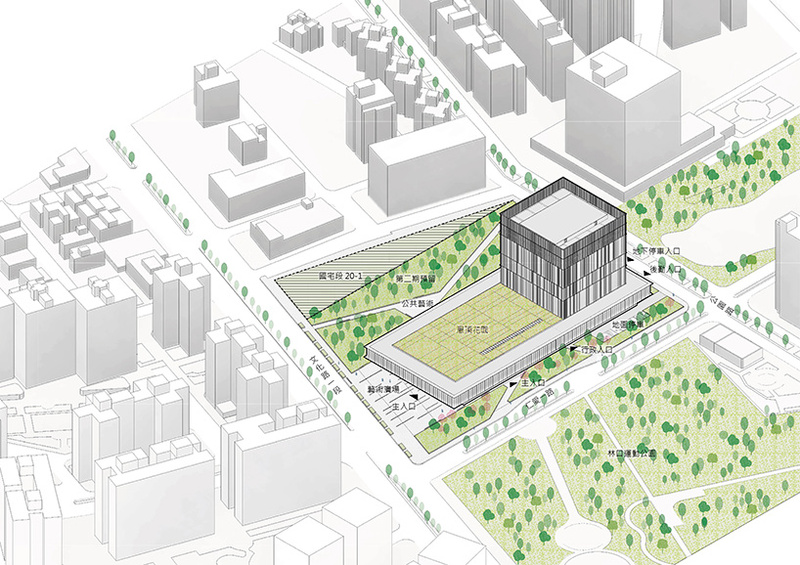 the public zone is located at the eastern part of the site, connected to wenhuayi road, while restricted areas are situated to the west. 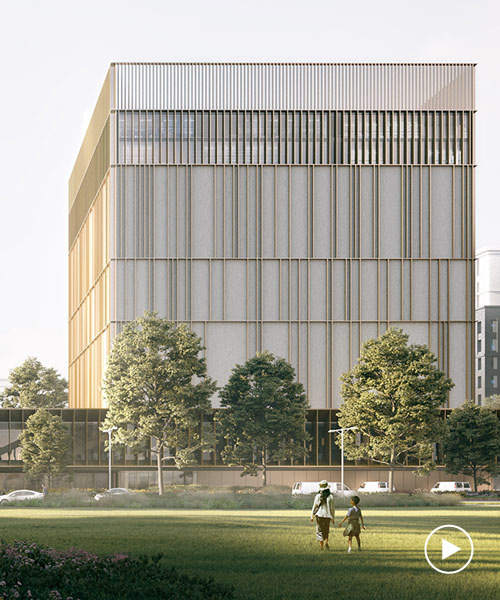 the transparent ground floor, protected from the sun with brise-soleil, establishes a strong connection with its surroundings, and contains an auditorium, exhibition halls, a reading room, and the file exchange center.